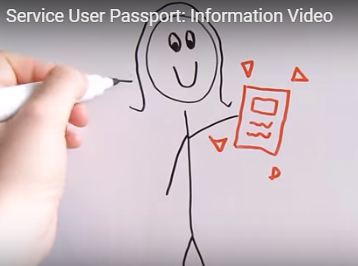 My Service User Passport – A personalised tool to improve integration between services. Audience: children and young people & healthcare professionals. A passport style brief has been developed by young people, parents and carers. It aims to make it easier for children and young people as they transition to a new service . The ‘My Service User Passport’ is created by the young person with the health practitioner and can include clinical information as well as key personal preferences and can be used across care settings either on paper, or on mobile phones. The Future in Mind Report about improving Children and Young People’s Mental Health states: ‘You should only have to tell your story once, to someone who is dedicated to helping you, and you shouldn’t have to repeat it to lots of different people. The ‘My Service User Passport’ has been devised to resolve this issue’. Learn more here: or watch the video.